As promised in my last post, I am going to teach you the Dance of Great Love! One of my all-time favorite movies is Shall We Dance (Richard Gere, Jennifer Lopez and Susan Sarandon from 2004). The acting didn’t win any Oscars, but the story line and message truly mattered. 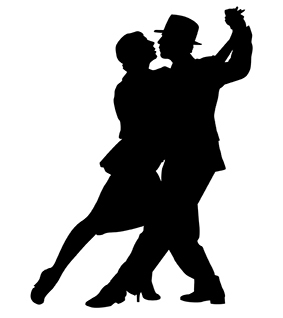 Besides having great dance scenes (release my inner dancer – I want to do the Quick Step), the story itself is about a couple who has grown apart after many years of marriage and the mundanes and loneliness has crept in; although they love each other, they have become invisible to each other. Their connection has weakened over time and it takes the husband’s after work wandering and desire to learn to dance to bring it all to a wonderful peak of acknowledging their disconnectedness, loneliness, and ultimately their deep love for each other. They see each other again with fresh eyes at the end (if you haven’t seen the movie, see it anyway even though I just told you the end…it will still be worth it!). They were the fortunate ones who found their way back to each other in the end; and fortunate that the wanderings were dance lessons instead of sheet dancing with strangers (a much harder secret to recover from). It is a continual series of steps, dips, and moving together with intention. Would you like to learn to Dance with Love? 1) Be gentle. You can’t force love. Love must be invited in, honored and respected. 2) Be patient. Love takes time. Learning to dance does too. While I may have joked about dancing the Quick Step, that dance takes a very long time to master (I call it the Trip Step until you get good at it). So does Great Love. In the beginning, love can feel very powerful and we may get that feeling of “falling in love”, and if that happens for you, enjoy it while you have it, but don’t mourn it when it passes. Great Love is what comes after the hormones settle down a bit and you connect on a deeper level. 3) Love Everything About Each Other. Like learning a new dance, if you decide that you really like twirling more than stepping backwards, you will twirl yourself right out the door if you only twirl and don’t learn all of the steps. Every step matters and every part of your partner is important too. Picking and choosing which parts to love will leave your love looking like swiss cheese. Now, for the record, if your partner has controlling or abusive behaviors, you do not need to love those…and you do not need to be building a lifelong relationship with that person either. Just sayin’. 4) Express Yourself. Dance, while it can have specific steps, is still a fantastic form of self-expression. If you love someone, show it. Let it out. Speak it. Simply, honestly, and purposefully. Like a dance that has very precise movements, so should your expression of your love. Wild proclamations and overblown displays can make your dance partner unable to follow and turn your waltz into a mosh pit. 5) Communicate. This is a big one in love and dance. 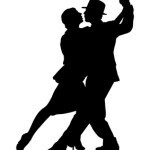 Unless you are dancing solo, communication with your partner is the only way to keep the dance together. If you are turning left, your cues must be clear so your partner doesn’t head off to the right, or step unmercifully on your toes. Communication should be clear and in the moment. No holding back and dumping everything at once unless you enjoy the mosh pit. Learn from your mistakes, try again, forgive missteps and start fresh. 6) Dance close. Promote intimacy and exclusivity with your partner. Feel them in your space and be firmly and gently in theirs. Don’t hold back or stiffen up too much. Lean on each other while still holding your own. Trust each other. Promote intimacy by looking into each other’s eyes. Dancing well together doesn’t happen when you are watching your feet. Connect on that intimate level and fall in love over and over again.